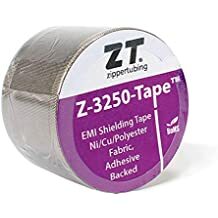 Snap Grip - Lightweight Jacketing - Wire And Cable Bundling - Products - ZT | Zippertubing Co.
0.375" 0.5" 0.75" 1.0" 1.125" 1.5" 2.0" 2.75" 4.0"
Snap-Grip® also has the ability to incorporate multiple wire or cable breakouts! 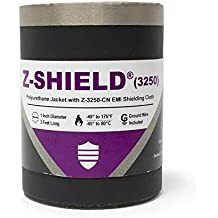 Snap-Grip® is a commercial-grade, flame-retardant, PVC-coated Polyester fabric material that utilizes a unique Nylon snap-button closure system. The snap-button design stays closed in high flexing applications, yet it is easy to close and re-open as required. Just press the buttons closed for a secure covering for any wire or cable bundle. Since no tooling is required for installation, Snap Grip® is ideal for general cable management applications in office or industrial locations where multiple wires or cables penetrate cabinets, equipment housings or internal wiring of appliances. The separation between the snaps allows for easy cable breakouts and transitions within a wire harness. Surface Resistance (500v) 1.6 x 10-14 ohms-sq/cm. Cable Diameter 0.375" 0.5" 0.75" 1.0" 1.125" 1.5" 2.0" 2.75" 4.0"